Your summer Cake Roll has arrived! 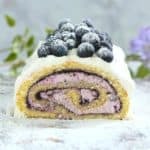 Let’s indulge in a lovely slice (or two, I won’t tell) of this elegant, light and creamy Blueberry Elderberry Cake Roll! Get ready for it! 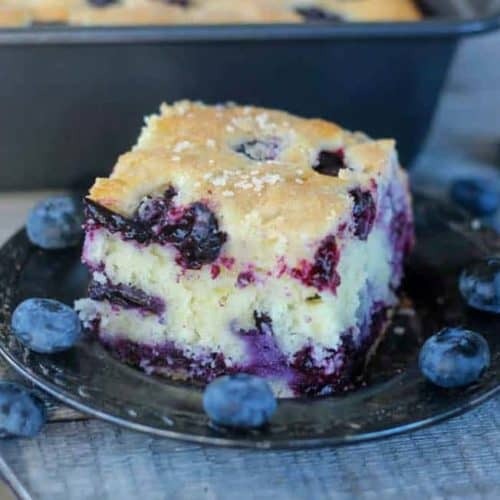 It’s a layer of vanilla sponge sheet cake, laced with a delicious layer of blueberry elderberry preserves and then topped with a fluffy blueberry elderberry whipped cream cheese filling layer. Then we roll it all up to make our summer cake roll ALMOST complete! Almost?? Wait?? Wha?! To make it super official–frost it with a layer of fluffy, whipped cream, then top it off with some fresh blueberries and a sprinkling of powdered sugar. It’s light, luscious and bursting with blueberry elderberry love! Summer at it’s best! And for sure, Harry Potter would be proud! I’m a huge Harry Potter fan and if you haven’t lived under a rock, you know he had ‘superpowers’ when he performed magic spells with his Elder Wand. And guess where Elderberries come from? Elder Trees! Thus, the Elder Wand! Is this a coincidence that elderberries have some serious superfruit power? Who knew?? Like the Elder Wand, they’re magical. Yay! 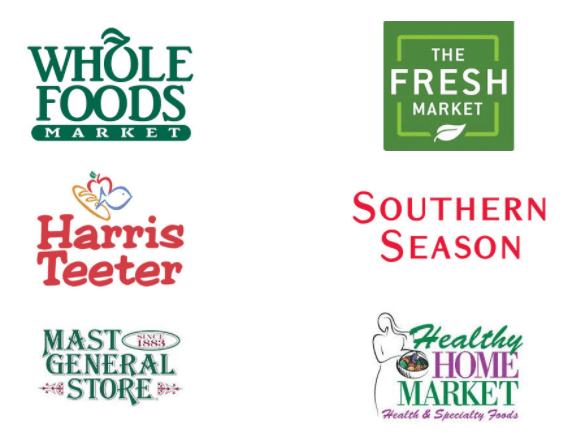 They have a long history of being used in all kinds of foods, syrups, medicines and even wine! This emerging superfruit is packed with Vitamins A, B and C , iron, potassium, and the powerful antioxidants known as anthocyanins. Elderberry is known for its powerful immune system support and very helpful in fighting colds and flus too. Elderberries are small, dark berries that grow in clusters on elder trees, and are very common throughout Europe and North America. Fresh elderberries taste like a mix of sour blackberries and blackberry currants with a touch of honey citrus. You can grow these right in your backyard. They really aren’t that good fresh, because they are so sour, so you shouldn’t eat a lot of them, but if you prepare these berries with sugar or honey to make jams, jellies, pies, muffins or syrups, then you’ll get that *Wow* factor! Ok, you know how ‘berries’ in general are loaded with antioxidants and deemed superfruits? Well elderberries are double the superpowers of those fruits. That’s pretty freaking magical don’t ya think? I love the pairing of blueberry and elderberry together in preserves. Loaded with lots of whole blueberries and oh-so-good-for-you elderberries! It’s just different and it’s something you don’t see everyday, unless you hang out at Norm’s Farms. (See end of this post where else!) 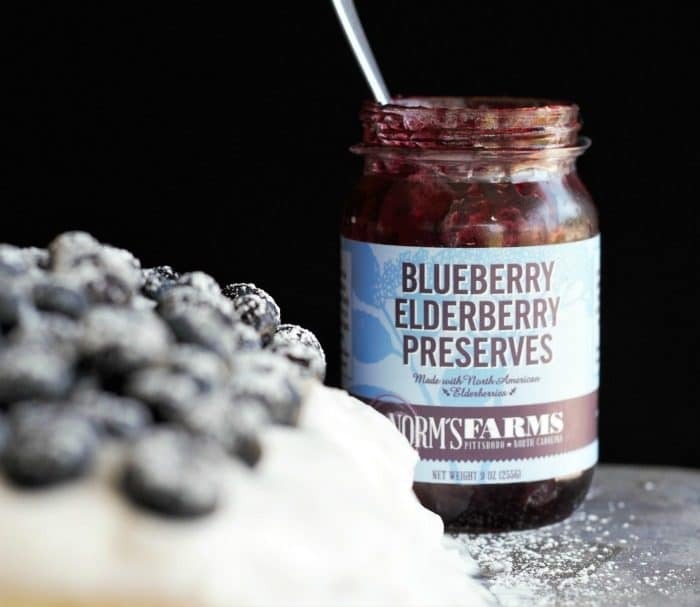 Norm’s Farms have this and lots of other elderberry products you should check out! Right now, you can purchase any of their products and get 15% off any order by using the code “chocolatess15“. The coupon code is valid until July 15, so why not take advantage of that before it expires. This is such a beautiful dessert for entertaining guests after dinner. I am fine consuming this any time of the day, but birthdays, anniversaries and even a BBQ would be fun too! My inspiration is just because I love baking, it’s summer and I love finding new products to introduce to you when I find something to share with you that I would use again and again. Check out the cool article about me over at Norm’s Farms when you’re visiting here. 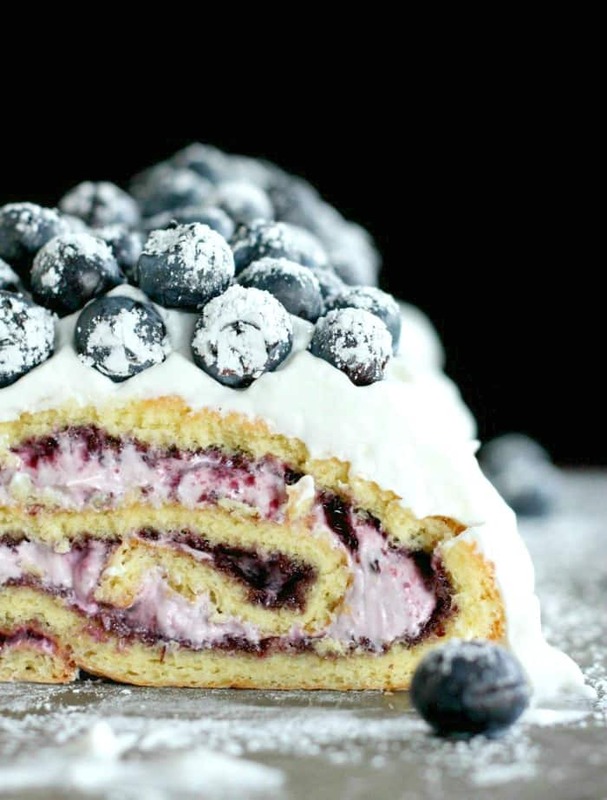 You will love this Luscious Blueberry Elderberry Cake Roll! It’s Harry Potter approved too! Now let’s make some magic!! Here’s the recipe and remember to get that discount! 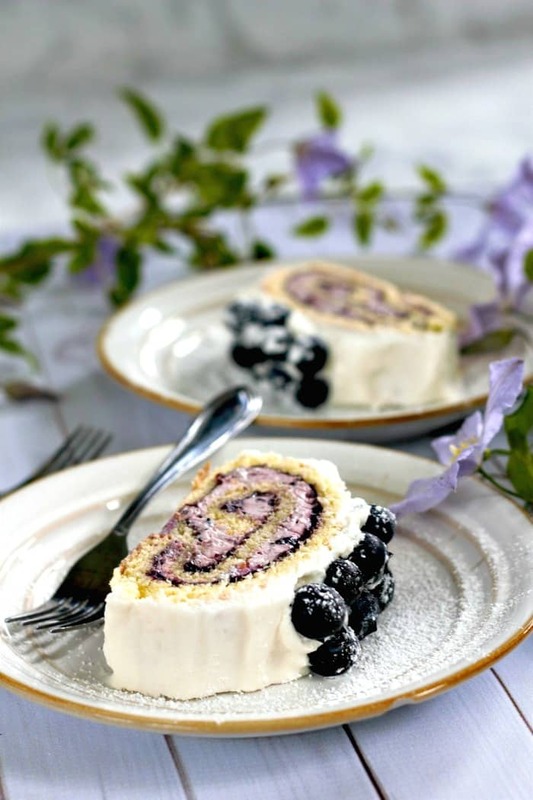 Blueberry Elderberry Cake Roll - It's Luscious! 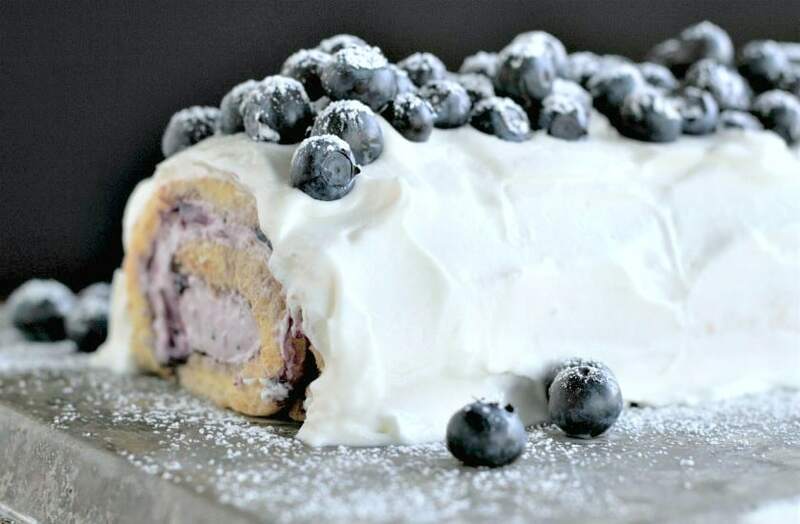 Blueberry Elderberry Cake Roll - It's Luscious! Perfect for summer guest entertaining and let's indulge in a lovely slice or two! Preheat oven to 350 degrees F (set to 325 if using a very dark pan). Prepare a jelly roll pan (15x10x1 inch) and cover with parchment paper and set aside. Do not use grease, it will make the cake stick to the pan. Lay a tea towel on a flat work surface and sprinkle well with powdered sugar and set aside. In a bowl, whisk together the flour and baking powder, set aside. In mixing bowl, add 5 eggs to the bowl and using mixer, beat on high speed 1 min, or until foamy. Gradually add sugar and beat on high 7 min. It will become thick, fluffy and be tripled in volume. Sift whisked flour and baking powder into wet batter one third at a time, folding to incorporate between each addition and scraping from the bottom to make sure you get the flour pockets. Stop mixing when you no longer see streaks of flour. Make sure you are folding and not beating. Transfer to lined baking sheet and bake immediately at 350˚F for 13-15 min or until top is golden. 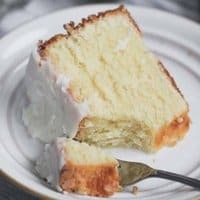 As soon as the cake is removed from the oven, loosen the edges of the cake from the pan with a knife. Carefully and quickly invert the sheet pan (long edge of the pan facing you) and cake onto the linen. Carefully peel off the parchment paper. While the cake is still warm, roll the cake and linen, narrow end to narrow end, into a tight spiral. Cool on a rack, in the linen, until the cake is room temperature. Beat cream cheese with preserves, powdered sugar and vanilla until smooth. Mix in whipped cream until creamy. Refrigerate until cake has cooled completely and ready to fill. Unroll the cake and spread the preserves all over the cake ½-inch from the edges. (Microwave preserves 20 - 40 seconds to make spreadable if needed, otherwise you might tear the cake. Apply the filling evenly over the preserves. Spread the whipped cream over the cake loaf and add blueberries to the top either before you serve it or let it sit in the fridge at least one hour before serving. Sprinkle with powdered sugar and slice away! Cover loosely with plastic wrap for leftovers. Can also dust with powdered sugar, garnish with blueberries and serve. Cover with plastic wrap and place in the fridge for at least an hour before serving. 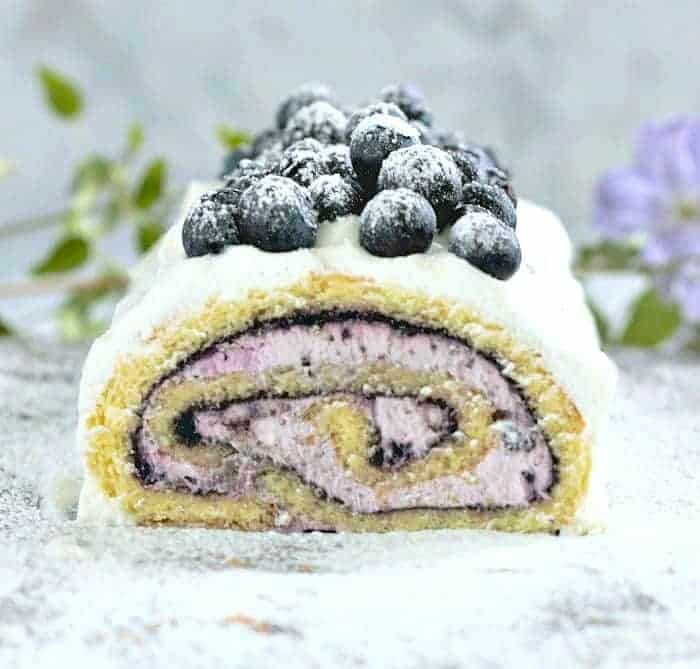 This is not a sponsored post, although I did receive products to try and made this Luscious Blueberry Elderberry Cake Roll. 🙂 You should too! LOVELOVELOVE this, Kim! Not just because of the beautiful cake but because of the references to my favorite books–HP, Nancy Drew, and the Hardy Boys. Can I just say I still have a crush on Frank Hardy? I might have to reread some of my old mysteries while I munch on a slice of this cake. Have a great week! Ikr Kelsie??! I had a major crush on Frank Hardy too, but I loved those books too!! Thank you and have a great week as well!! 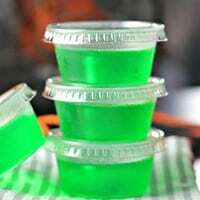 This looks SO luscious!!!! So fluffy and amazing. I love the preserves you chose as well! Thank you Lindsay! Those preserves are sooo good too!